Guitar for stage and studio? 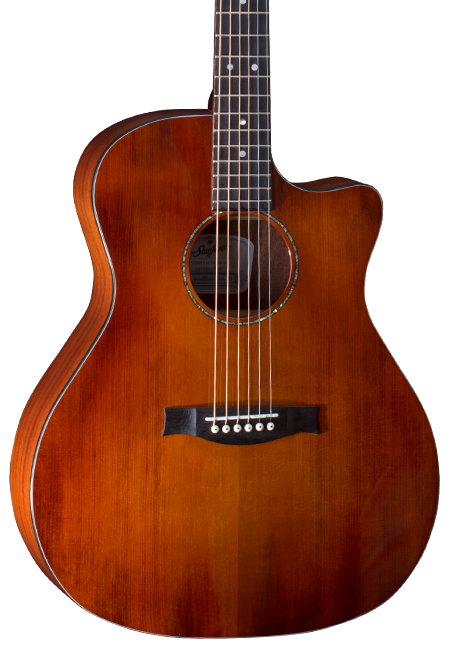 With the Radiotone Studio 66 G ECW Antique Top you are well prepared for both. 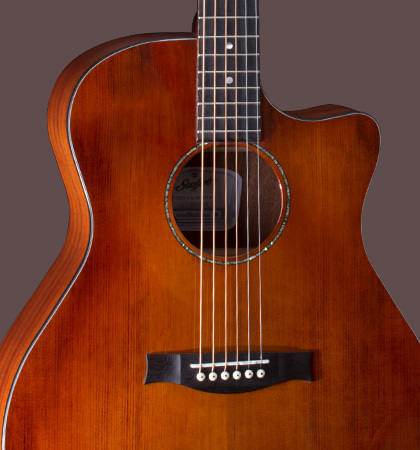 The built-in pickup from Nautilus faithfully directs the guitar signal to the source of your amp. 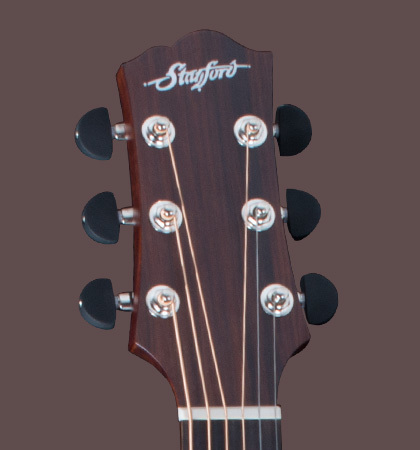 The cutaway makes the playability up to the highest notes super easy. 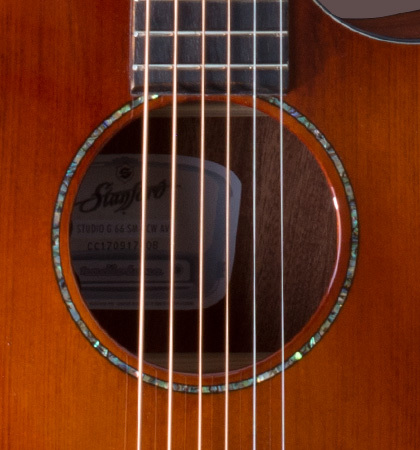 The dark stained, solid spruce top matches perfectly with the slightly reddish stained sides. Visually and sonically an eye and earcatcher!